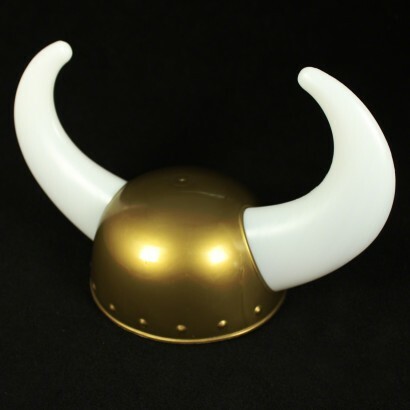 These golden viking style helmets feature bright flashing horns! 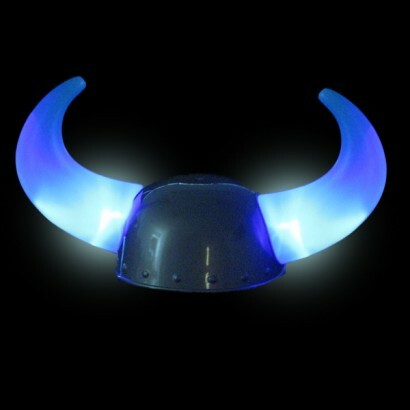 With alternating flashing red & blue LED lights, these Viking horn helmets are a great party hat! With giant flashing horns. Easy to assemble, just slip each horn through the hole in the helmet and push firmly into place.